Loading capacity of up to 120 lbs. The sturdy height adjustable flat panel mobile cart manufactured by Balt features innovative functions that are commonly used these days. It has sleek design with four heavy-duty casters that enable smooth movement and the 2 integrated brakes provide stable position. This amazing flat panel mobile cart allows height adjustment of 1” and is capable of holding the display up to 42” with maximum weight of 120 lbs. The 27530M flat panel mobile cart has a locking cabinet that can be used for safety of the expensive items. Also, there are sliding shelves located underneath the surface, these shelves provide space for other items or devices that can be used with the displays. The 27530M flat panel mobile cart comes with safe, reliable and durable features in competitive price. Q. What is a GREENGAURD GOLD certification? A. The GREENGAURD GOLD certification ensures that the certified product has met nearly the world’s most difficult and widespread standards for low emissions of voltaic organic compounds (VOCs) into indoor air. Q. Does the Balt flat panel cart (Black) come with warranty? Q. Does the Balt flat panel cart (Black) hold displays more than its weighing capacity? A. 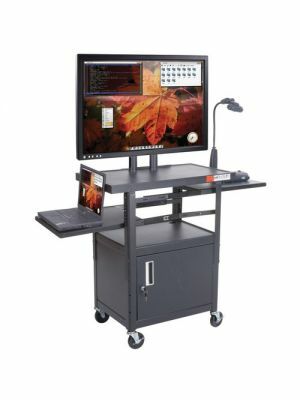 Yes, the Balt flat panel cart (Black) can hold displays more than its capacity, however it is always recommended to use the carts of required capacity. Our store offers carts that accommodate all kinds of displays. Q. Where can I use the Balt flat panel cart (Black)? A. 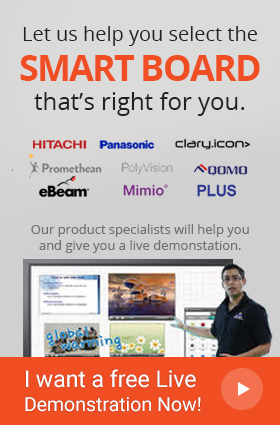 The Balt flat panel cart (Black) is ideal for every kind of industry such as business environments for presentations and seminars and class room environments for lectures and collaborative discussions. Q. How can I clean the Balt flat panel cart (Black)? In order to clean the Balt flat panel cart (Black) , use the wet and soft sponge and lightly rub over loose dirt.